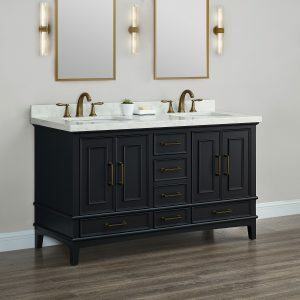 The Mission Hills® Chandler vanity collection will transform your bathroom’s interior with a luxurious and transitional flare. 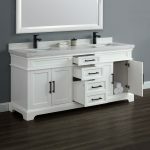 No detail of this beautiful vanity has been overlooked, including the addition of two sets of hardware. 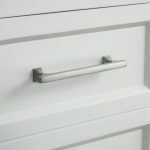 One set in Brushed Nickel and the second in Oil Rubbed Bronze. The elegant, low maintenance white marbled quartz countertop compliments the cabinetry and most neutral-toned color schemes. 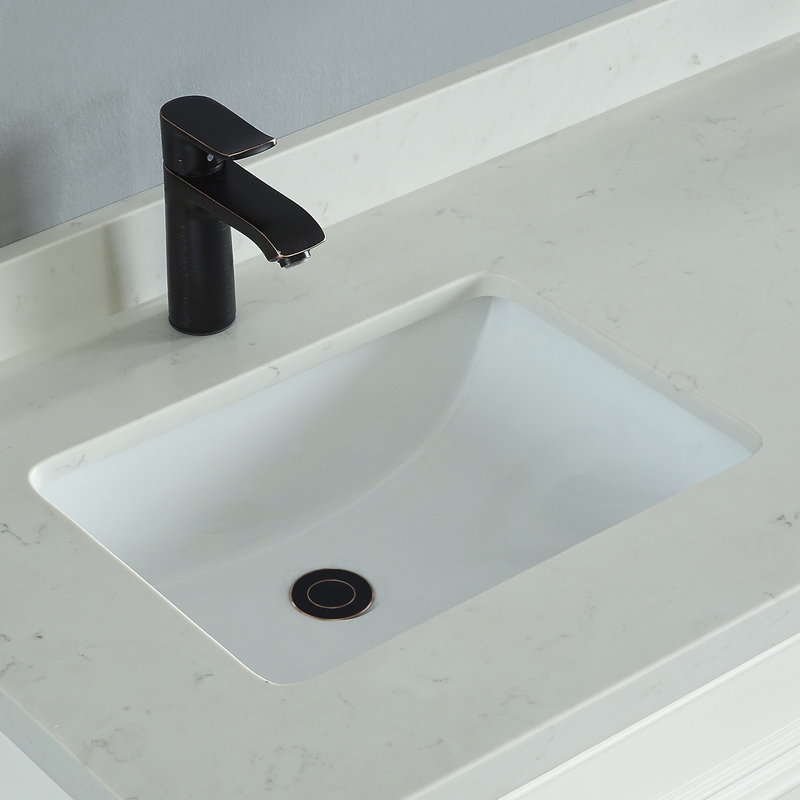 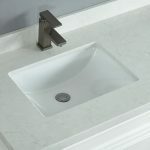 Pre-drilled for single-hole faucets, the countertop features under-mounted CSA rated rectangular porcelain sinks and a matching 4” quartz backsplash. 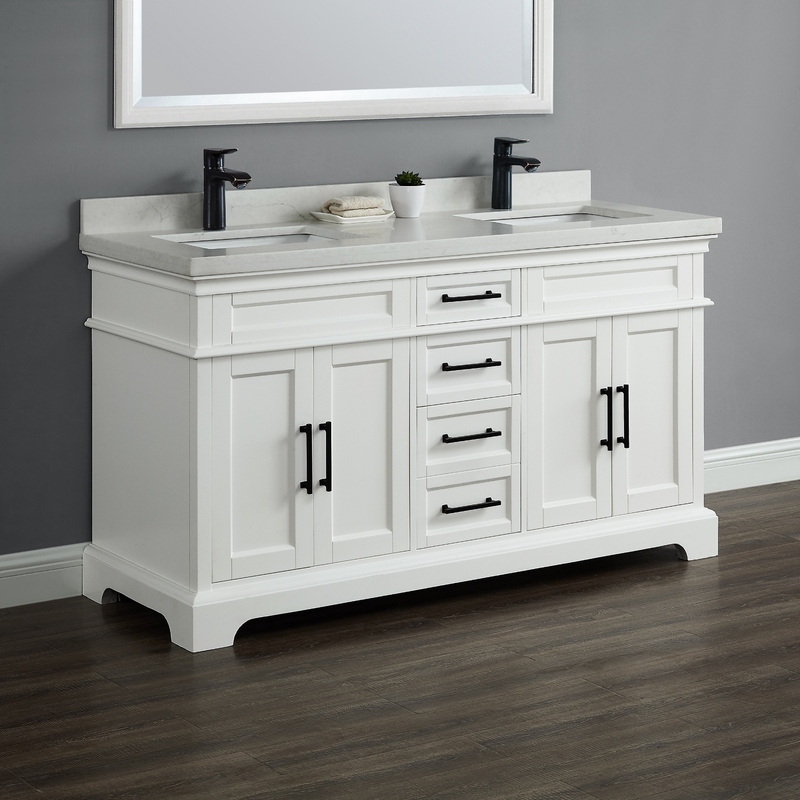 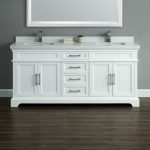 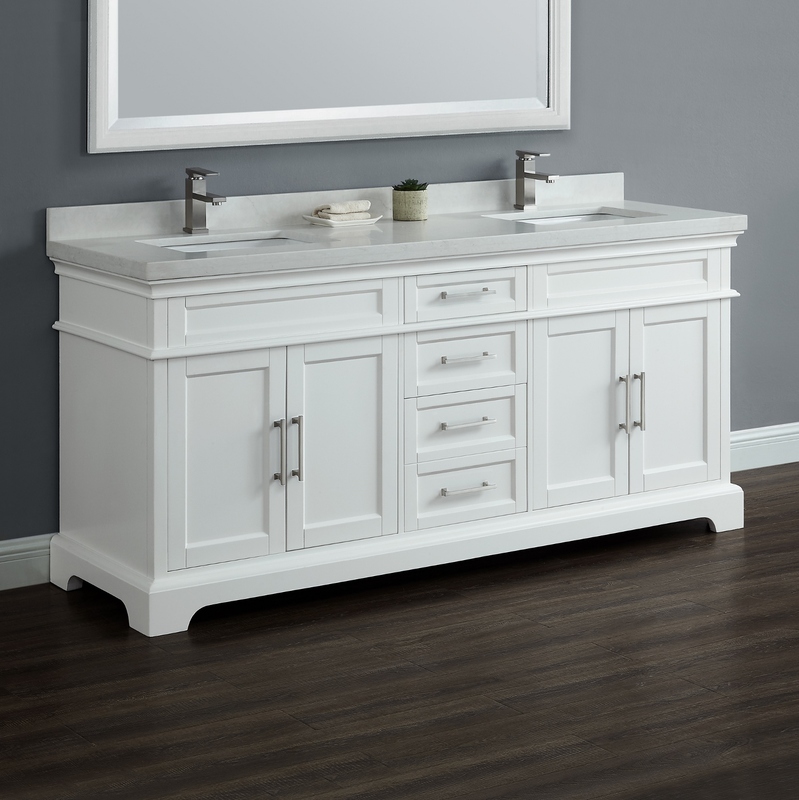 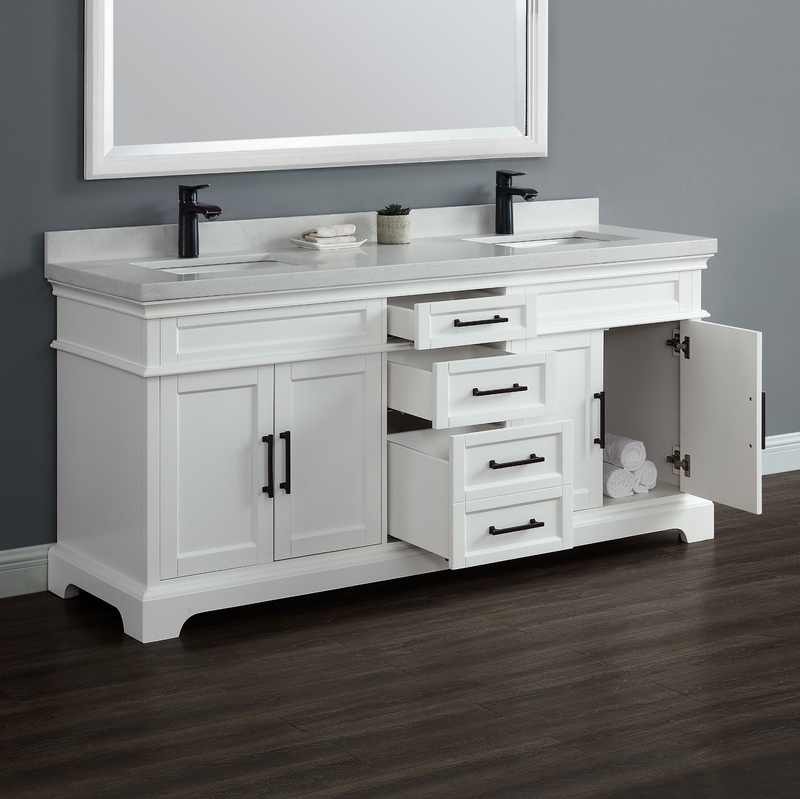 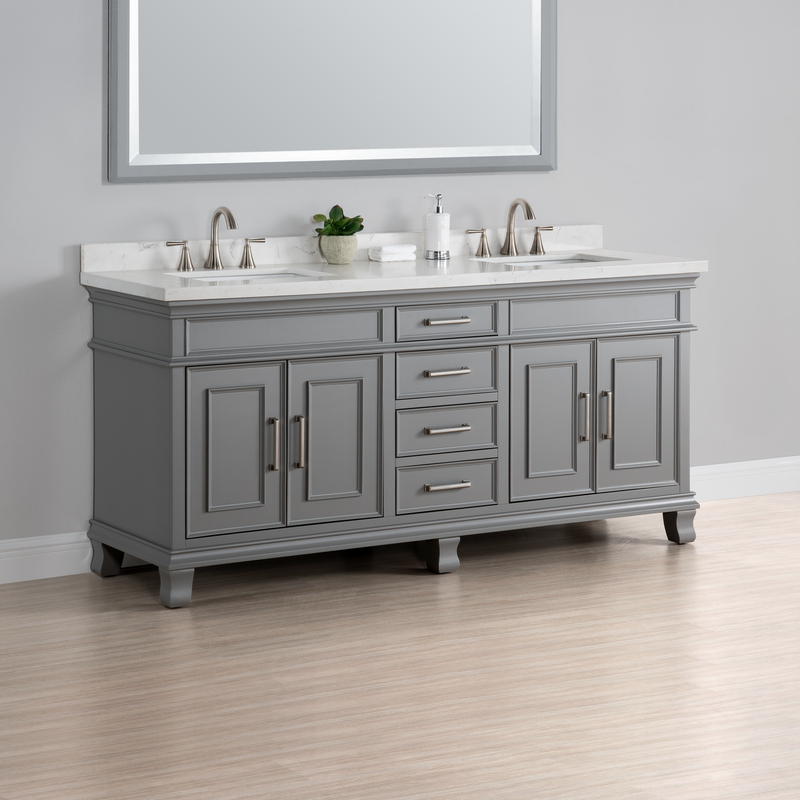 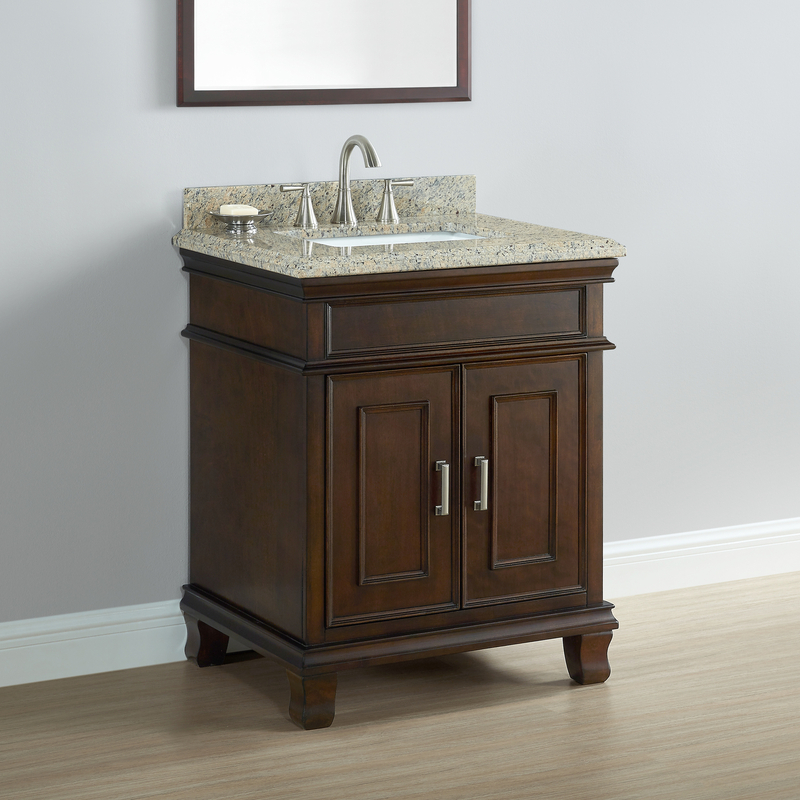 The vanity design provides ample storage space for all your bathroom necessities. 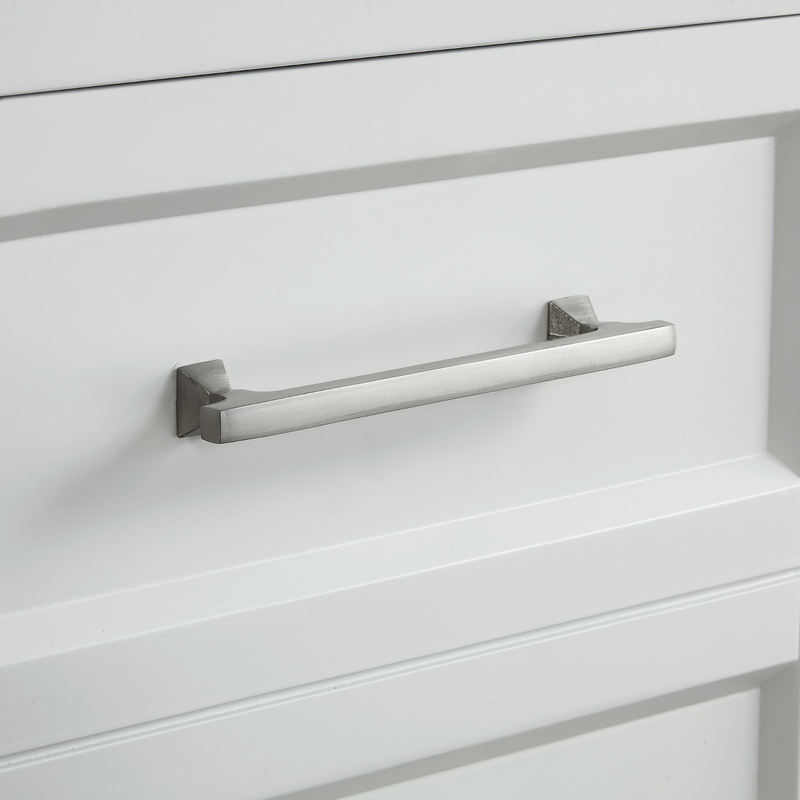 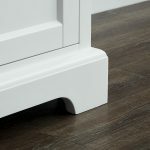 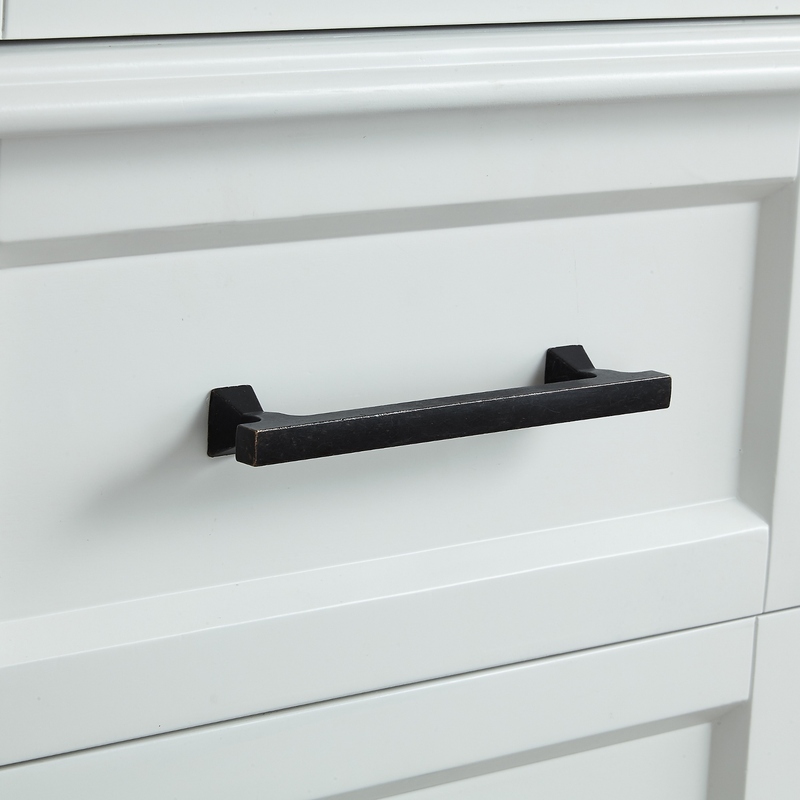 All the drawers include soft close glides and the doors boast soft close hinges. A stylish valance base and beveled shaker style doors create a high-end look that will impress all your guests. Categories: Chandler Series, Bathroom Vanities.